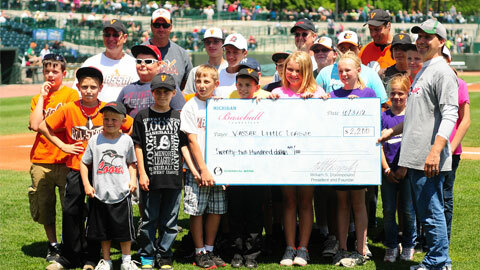 MIDLAND, Mich. - The Michigan Baseball Foundation (MBF) is pleased to announce its 2013 grant class, which includes 30 organizations from nine counties in Mid-Michigan. The 2013 class received a total of $105,079, making it the sixth consecutive year that the grant total exceeded $100,000. In its six years of existence, the MBF grant program has awarded a total of $622,459 to non-profits of Mid-Michigan. Since 2008, the Michigan Baseball Foundation has awarded 184 grants to deserving non-profit organizations across 14 counties. The organization contributes to regional economic development. The organization is based in Mid-Michigan and serves young people. This year's Michigan Baseball Foundation grants committee was chaired by Jenee Velasquez. Committee members included Bill Stavropoulos, Paul Barbeau, Ann Craig, Mike Hayes, Susan Kaltenbach, Scott Litle, Dom Monastiere, Abbe Mulders and Emily Schafer - a combination of members of the Michigan Baseball Foundation board of directors and the Loons management team. Grant applications for the 2014 grant session are currently available and will be accepted until February 14, 2014. 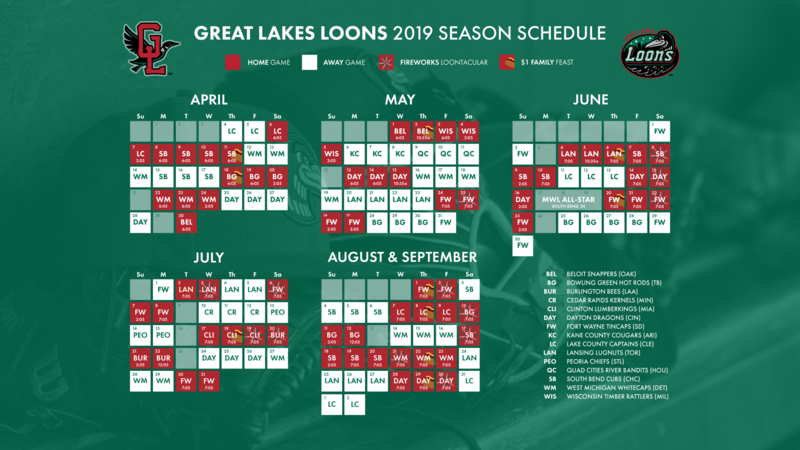 For more information, contact Emily Schafer at 989.837.6137 or at eschafer@loons.com. Note: Please see attached documents for a complete listing of organizations receiving MBF grants and a 2014 grant application. The Michigan Baseball Foundation is a 501(c)(3) non-profit corporation and public charity, which was formed in 2006 to generate regional economic development and to enhance the efforts of regional organizations that serve young people through creative partnerships and grants. The Michigan Baseball Foundation owns and operates Dow Diamond, home of the Great Lakes Loons, a Single-A partner of the Los Angeles Dodgers. The Foundation received its initial funding from The Dow Chemical Company Foundation, The Herbert H. and Grace A. Dow Foundation, The Dow Corning Corporation, The Rollin M. Gerstacker Foundation, The Charles J. Strosacker Foundation and The Bill and Linda Stavropoulos Foundation.